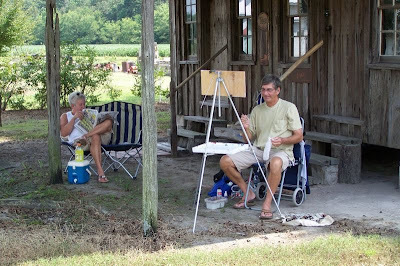 A special Paint Out in celebration of the 2nd Anniversary of OOPS (Onslow Outdoor Painters Society) and a GREAT Cause has been organized by Sherry Thurston, artist and gallery owner. 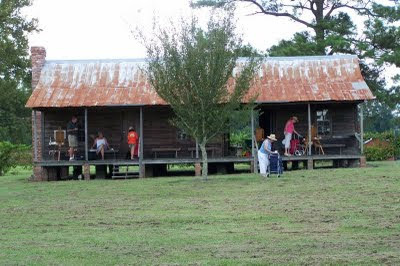 Yopps Meeting House: needs lots of interior work, floors (had termites) many other repairs are needed on the grounds too. Bring labels and frames if needed. This will save time and your work will be ready. The Daily News in Jacksonville is doing a featured story on this show! Open House will be October 25th, 4 to 6pm. Invite at least 5 of your friends to drop by! If some of you can bring finger food that would help. We will have the beverages ready. Thurston Art Gallery can receive works on October 11th to hang for the show that will run to Sunday November 29th- you may pick up from 1pm to 3pm. If you need to make other arrangements for pick up please call. * Mastercard, Visa and Discover sales can be done with a 15% fee to cover costs. Checks will be paid out at the end of the show by Thurston Art Gallery. Please leave us a mailing address and some business cards. WHAT: OOPS October "Paint Out"
WHERE: Yopps Meeting House in Sneads Ferry, NC. 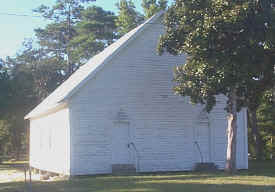 The structure is listed on the National Register of Historic Places. 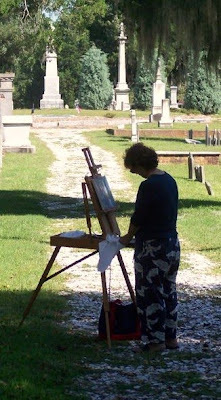 WHY: Plein Air Painting... What can we say... we're addicted!... plus this event is to raise money and awareness for a GREAT cause... The Friends of the Yopp House and their cause of saving and maintaining this historic structure. WHAT ELSE #2: With all the plein air events going on in October please place this on your number one priority list as we need to have a good showing for this paint out. WHAT ELSE #3: We will also gather at a local restaurant of our choosing in the Sneads Ferry area for a Dutch Treat Dinner in Celebration of our 2 year anniversary. Newbies always welcome... all mediums and skill levels... simply show up with your gear and be prepared to have fun! 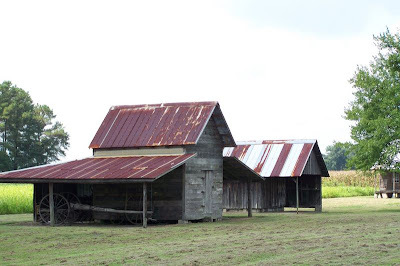 FOR IMMEDIATE NEWS RELEASE: "Barns" Exhibit by artists, Connie Burke and Stephen Greer at Council for the Arts in October. 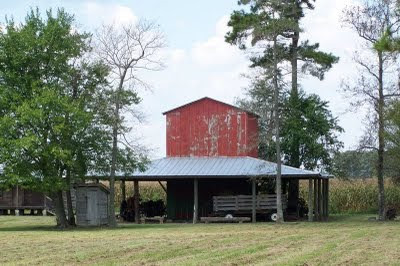 Jacksonville artists Connie Burke and Stephen Greer, Sr. exhibit titled "Barns" will be centered on and around barns. Connie Burke is well-known for painting landscapes, lighthouses, marshes and of course her barns. Stephen is a talented artist who enjoys doing portraits, landscapes and is a member of the local OOPS (Onslow Outdoor Painters Society) group. Between the two of them we will see acrylics, oils, watercolor and pastels. Opening Reception Sunday, October 4th from 2:30pm till 4:00pm. What a joy to speak with you this morning and thanks so much forspreading the word about this free seminar! It really is alife-changer for artists who want to share their art more widely andeven create a handsome living from it! Click here, http://www.spirited-solutions.com/, to sign up for our free ezineand learn vital strategies to create a life and work you LOVE! Want to know how to best share and sell your art?? Want to learn how to make marketing FUN? Want to get in touch with your unique artistic vision and make your work irresistible? EXCITING FREE SEMINAR FOR ARTISTS! Call today to reserve your free space at 910-938-6322! Find out more about Dr. Brown at http://www.spirited-solutions.com/! WHAT ELSE: Sherry Thurston, artist and gallery owner has planned this event with the help of Stephen Greer, Bernie Rosage, The Friends of the Yopp House, and the Daily News to bring attention to this historic structure. She will also be painting with us and is very excited about the event. 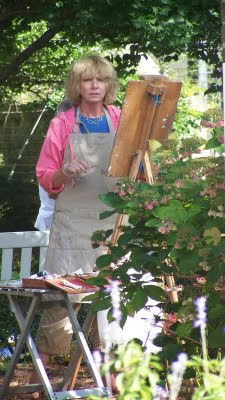 Most OOPS artists agreed sometime back to donate their plein air works from the paint out to sale or auction off to help raise money for the preservation of the Yopps Meeting House. Sherry has graciously allowed these paintings to be exhibited in her gallery for sale with all or part of the proceeds (up to individual artists) to go to the Friends Of the Yopp House. She is planning and opening reception for the event at her gallery with the date and time TBA plus publicity surrounding the special event. Reminder about Oktoberfest... Oct 24th, 2009. Enjoy German music, bratwurst and beer at the upcoming Oktoberfest, held at Riverwalk Crossing Park in downtown Jacksonville. Many artisans, crafters, food vendors and an incredible Children’s area. Entertainment all day! For more information call 455-5733. Artisans and crafters are needed for the upcoming Oktoberfest to be held at the waterfront Riverwalk Crossing Park. All proceeds benefit Onslow Community Outreach. (Soup Kitchen, Homeless Shelter and Caring Community Clinic.) Bratwurst, Beer Garden, live German music, Children’s area. Just a reminder... they have personally invited OOPS members to come and paint to help promote the arts. A great opportunity to paint if you are not making plans to compete in the 2nd annual Paint Out in the Park in Surf City the same day. 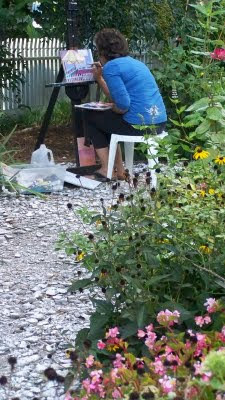 Local Plein Air Workshops ~ SHORT NOTICE! 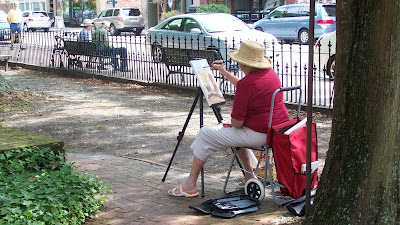 This is short notice, but if you could, please let your group know about a local plein air oil painting workshop happening this week. All are welcome to join in for one or more sessions. Each session is $30 per person. 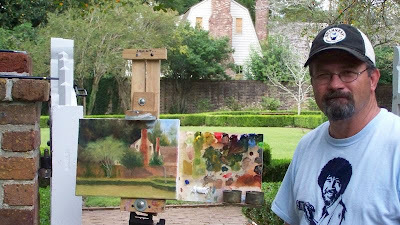 Award-winning, Charlotte artist, Paul Keysar will be teaching a week-long plein air painting workshop along the Crystal Coast, September 22-25. 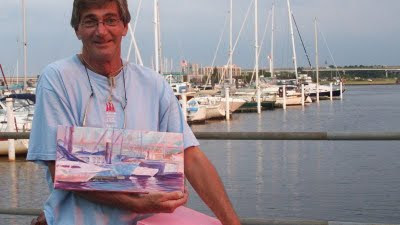 For more information about Paul Keysar, please see http://www.paulkeysar.com and http://paulkeysar.blogspot.com. 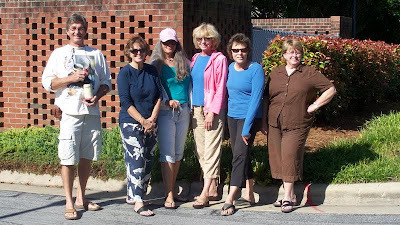 Join us for a late summer / early fall plein air painting workshop on the beautiful Crystal Coast of North Carolina. Paul will demonstrate how to lay in an accurate portrayal of the landscape while dealing with the quickly changing light. He will also talk to you about the variety of materials and techniques involved in dealing with the natural environment. Each day will start with a lecture/demo, followed by plenty of time for students to work. Individual instruction will be given to each student at each session. If interested in attending, please call 704-886-8013 and directions will be given on where to meet. Morning Session: 10 a.m. to 1 p.m. Afternoon Session: 2 p.m. to 5 p.m. Afternoon Session: 3 p.m. to 5:30 p.m.
Paul Keysar is known for his classic, representational oil paintings of landscapes and still lifes. 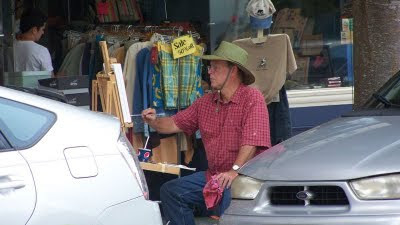 He is an award-winning plein air painter and studio artist and a Pennsylvania Academy of the Fine Arts graduate. "As an artist, I am continually observing life around me. I am fascinated by the effects of light, atmosphere, and weather. My goal is to show the beauty of the land and man’s dependence on it." He has participated in numerous solo and group shows, and his work is owned by collectors throughout the country. He was recently featured in an article in University City Magazine, September 2009 issue, pg 30 (http://www.universitycitymagazine.com/). Instructor, Mary Deutschman, author of No Experience Required! Some of what you'll learn during Mary's workshop: Using "juicy" colors! Working quickly with big brushes! Adding detail in studio using phographs to help! Keeping your colors clean and bright! Finding your own voice through your work. See attached flyer for more detail about the class. 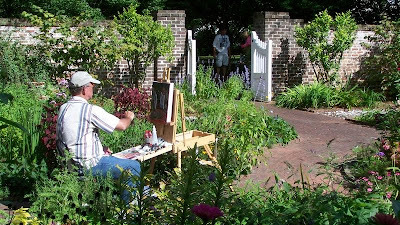 Those artists who painted in the gardens at Tryon Palace last Sunday will recognize the music for this video... feel free to share this video with all your friends. 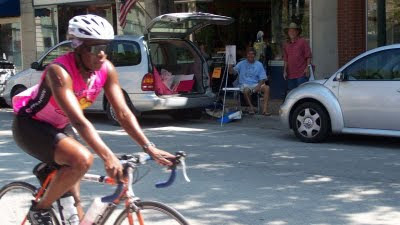 Plein Air Painters and Cyclists converge on the historic town on New Bern for great causes! 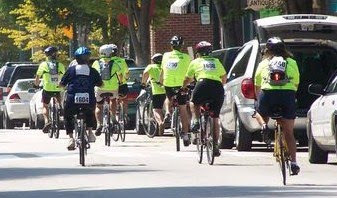 The Eastern NC Chapter of the National Multiple Sclerosis Society announced over 2,400 cyclists and 300 volunteers participated in last weekend’s Bike MS: Historic New Bern Ride. Cyclists left from Union Point Park in New Bern for the successful 21st annual Bike MS September 12-13. Over $1.34 million has been counted to date, and officials project that they are on target to meet their $1.7 million goal. 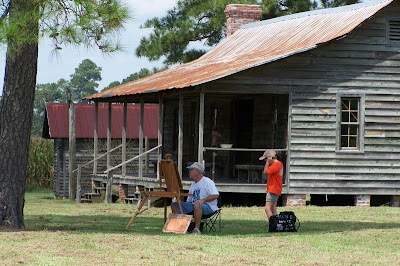 Also converging on the historic town were plein air artists from Eastern North Carolina participating in the International Plein Air Painter's (IPAP) 7th annual Worldwide Paint Out (WWPO). The paint out is designed to bring recognition to the tradition of painting "en plein air"... the French term for "in the open air". 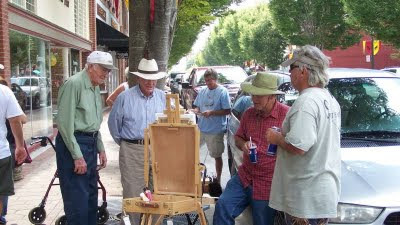 The event brings plein air artists from all over the world who agree to paint outdoors on the same date by organizing events in their local area. Plein air painters from Onslow, Craven, Beaufort, Carteret, Wayne, Pamlico, and Pender counties were present for the special 2 day event. Apologies to any artist not mentioned. Hope you enjoy these photos from the paint out and make plans to join us for the 8th annual WWPO next September... see ya! 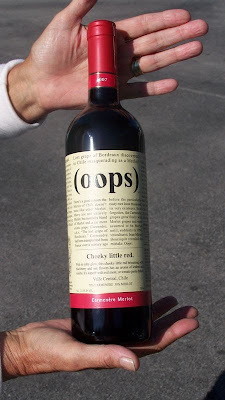 Ann Ward presented Bernie Rosage representing OOPS (Onslow Outdoor Painters Society) with this cool bottle of wine! Thanks Ann! 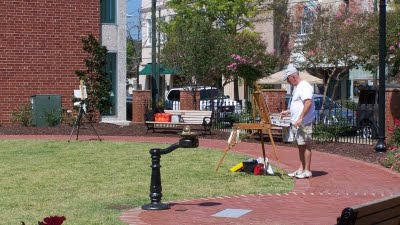 Susan Cheatham is painting in New Bern today and contacted John Hanley who in turn contacted me with this piece of important information concerning our IPAP Paint Out this weekend in New Bern. Evidently there is a huge bike ride scheduled for New Bern and they have set up carnival tents and camping facilities for the bikers at Union Point Park... this will not present a problem with our painting but it will present a problem with parking at the park. 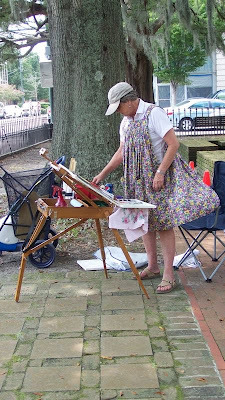 Susan suggests that pliein air painters park at the public library on the corner of Craven and Johnson Streets in the downtown area. We may not be able to get a group photo as planned so please snap a photo or two of you painting so we can submit it to the IPAP's blog chronicling this worldwide event. See you in New Bern! WHAT: OOPS September "Paint Out"
WHERE: Meet at Gazebo at Union Point Park on the waterfront in downtown New Bern at 9AM both mornings. 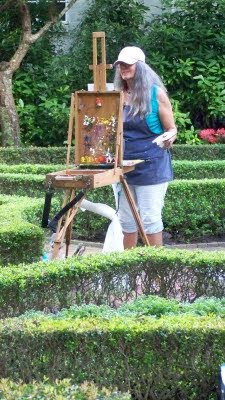 You will see artists scattered throughout town and the park... pick out a spot and make yourself at home. 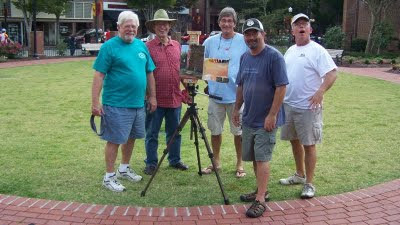 WHY: Doing our part to promote the tradition of plein air painting for IPAP's 7th annual Worldwide Paint Out. 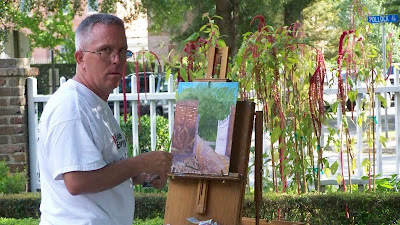 The International Plein Air Painters (IPAP) 7th Annual Worldwide Paint Out is a gathering of plein air artists from all over the world who agree to paint on the same days to promote the tradition of painting "en plein aire". 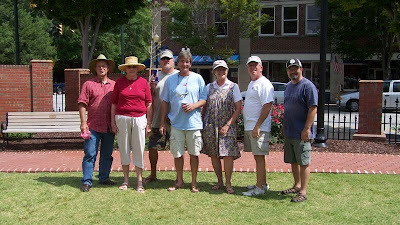 Eastern North Carolina artists will converge again this year on the historical town of New Bern on September 12 and 13, 2009 to do their part. 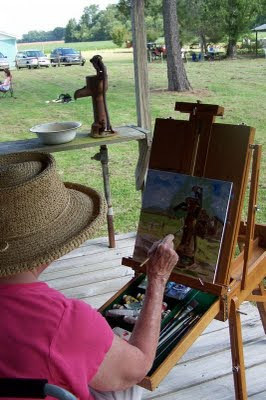 All artists are to meet at the gazebo at Union Point Park near the downtown waterfront at 9:00 AM each morning. Groups from Onslow, Craven, Carteret, and Beaufort counties have already expressed interest in participating. 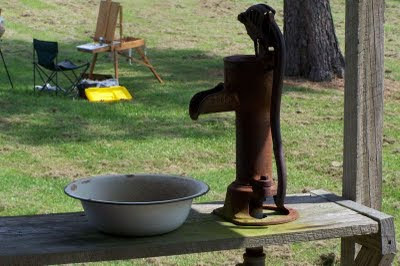 If you are a plein air artist... mark your calendar and make plans to join us. August Paint Out @ Tarkil Branch Homestead... Southern Hospitality at its best! 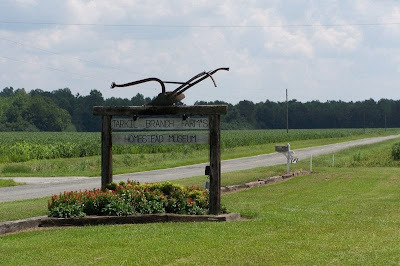 Benny and Annette Fountain recently opened the Tarkil Branch Farm’s Homestead Museum, located on part of the working 375-acre farm. 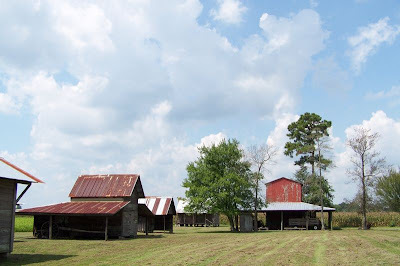 The farm came into the family in 1912 when Willie Hunter (Grandfather of Benny Fountain) purchased the land. In 1926, Willie sold 82 acres of land to David Fountain (Benny Fountain's father). This 82 acre tract included the 1830's house proudly on display. They graciously opened the farm to us last Sunday for our monthly Paint Out... one of the BEST places we have painted to date. 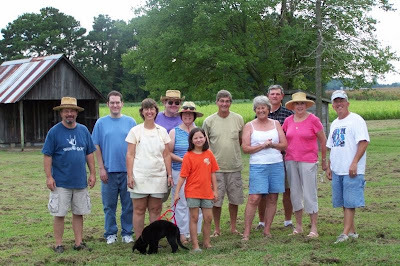 Benny dropped by and spent most of the afternoon with us and gave us an awesome tour of the buildings and shared the personal history behind the farm.... Southern hospitality at its best... thank you sincerely Benny! 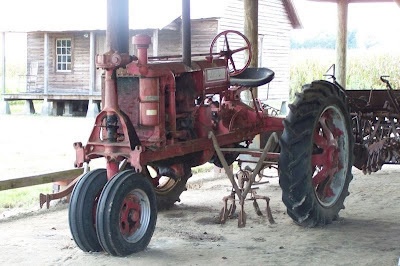 Click HERE to read all about the farm, including bus tours, school groups, history, hiking trails, directions and much more. 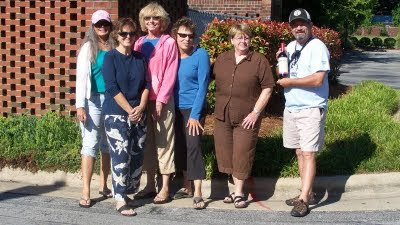 OOPS members present... LtoR: Bernie, Jeff, Eileen, Earl, Donna, Olivia, Mitchell, Kit, Benny Fountain (owner), Pat, and Dean. 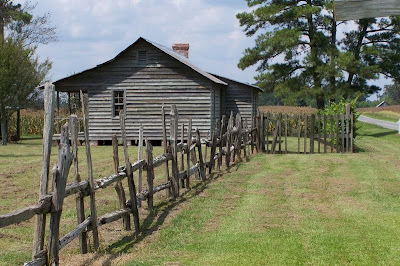 The crowning jewel was this old house which dated back to 1830 and was even occupied after the Civil War by Hosea Goodman Lanier a corporal in Company B, 3rd Regiment, North Carolina Troops, Confederate Staes of America. 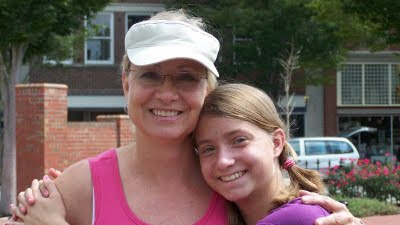 Eileen organized this great event... pictured here with her future daughter-in-law, Paula. Thanks Eileen! Mitchell and Penny found a cool spot in the shade. Olivia decided to paint the outhouse... did a great job too! Most of the time she walked Mr Fountains new puppy. Dean working on his first painting. Mitchell painting the old 1830's house. 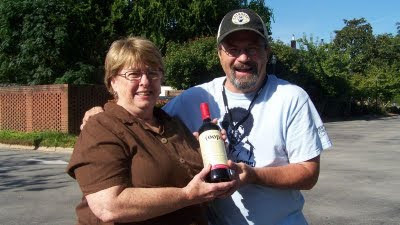 Donna and Earl's son, Jeff, joined us for the first time. Penny, Olivia, and Bernie even found time to pick and eat grapes!